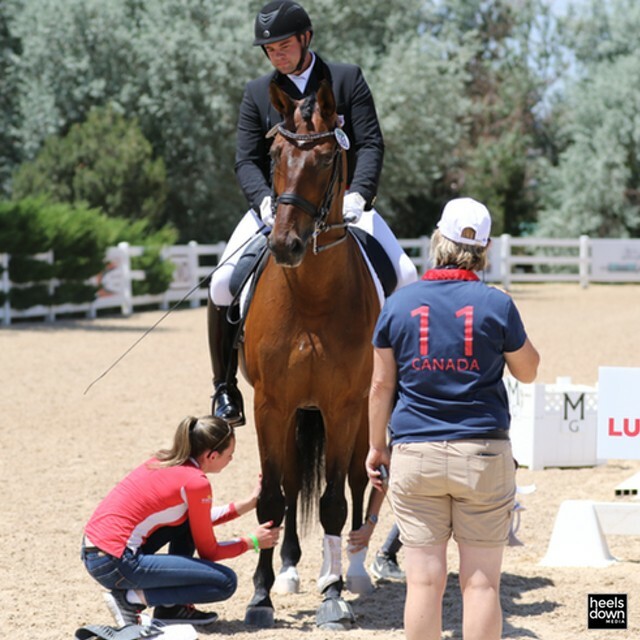 Max Corcoran has groomed internationally at the highest levels of equestrian sport for nearly two decades. She worked for the O’Connor Event Team for 11 years and has served at multiple Olympic Games, World Championships, Pan American Games and countless CCIs across the U.S. and Europe. She now lives in Ocala, Fla., with her partner Scott Keach, who competes Grand Prix show jumpers. In her countless miles on the road with horses, she has learned how to help keep them happy and healthy. Part of this, she explains, is understanding what horses go through on the trailer and making them as comfortable as possible. “Making sure the horses are hydrated is a really big deal. 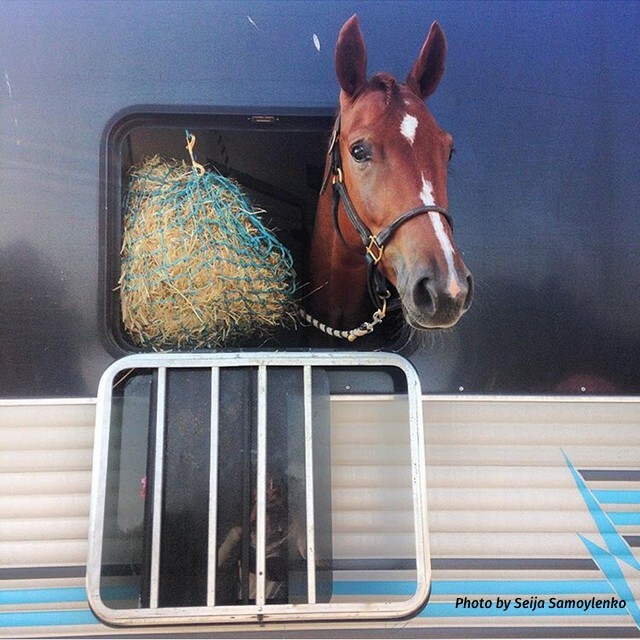 If you’re traveling a long distance, one thing horses can come down with is shipping fever. Shipping fever is mostly from having their heads up for too long. 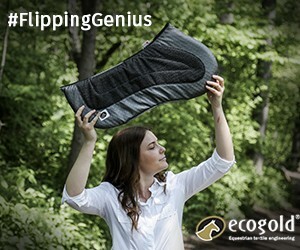 Horses need to be able to put their heads down and let all the goo and snot go down. If their head stays up, it runs into their lungs and causes an infection. That’s what shipping fever is. For long distance trips, if they’re traveling more than 12 hours, they’ll stop halfway and take the horses out, walk them around, or in the trailer, they’ll stop and put the hay on the ground so they can let everything drain out of their nose. For them to have the ability to put their head down is a very big deal. 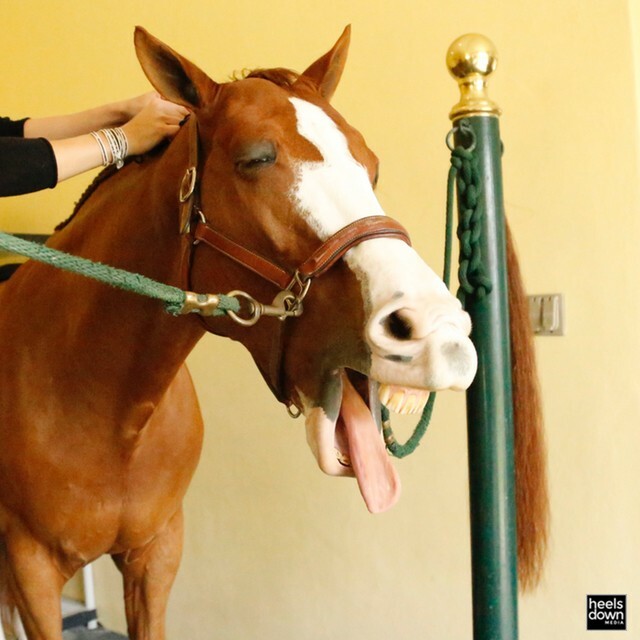 Are You Riding Your Horse into Lameness or Soundness?